Chinese Steamed Sponge Cake 汽水鸡蛋糕 – This traditional kuey neng ko uses gassy drinks and self raising flour to enhance its shape. Traditional Steamed Sponge Cake （古早味鸡蛋糕） – If you do not fancy the shape but purely want some kuey neng ko that is full of egg’s aroma, you can try this recipe. This is the simplest traditional recipe that provide aroma but shape is difficult to achieve unless you have a very tall traditional type of steamer cover. Pandan Huat Kuih (香兰发糕) – Note that this recipe have butter and eggs and therefore, depends on individual, whether it is suitable for your religious purposes. Palm Sugar or Gula Melaka or Gula Apong Huat Kuih (椰糖发糕）– Another Huat Kuih using wheat flour for you to choose. 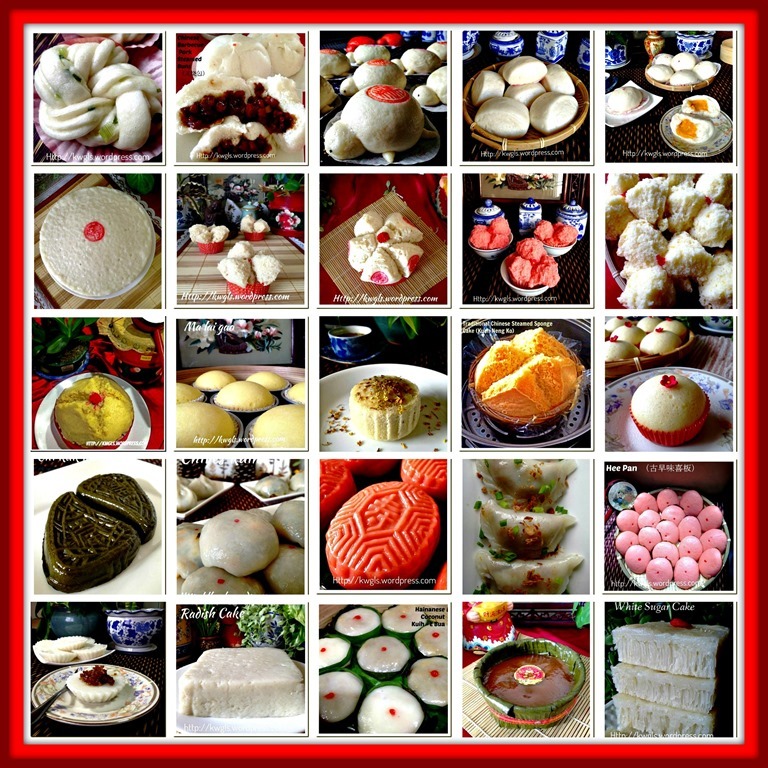 Chinese Rice Flour Cake (粘米粉发糕） – This is the type of Huat Kuih being prepared for offering using rice flour and use of Eno, a type of fruit salt. 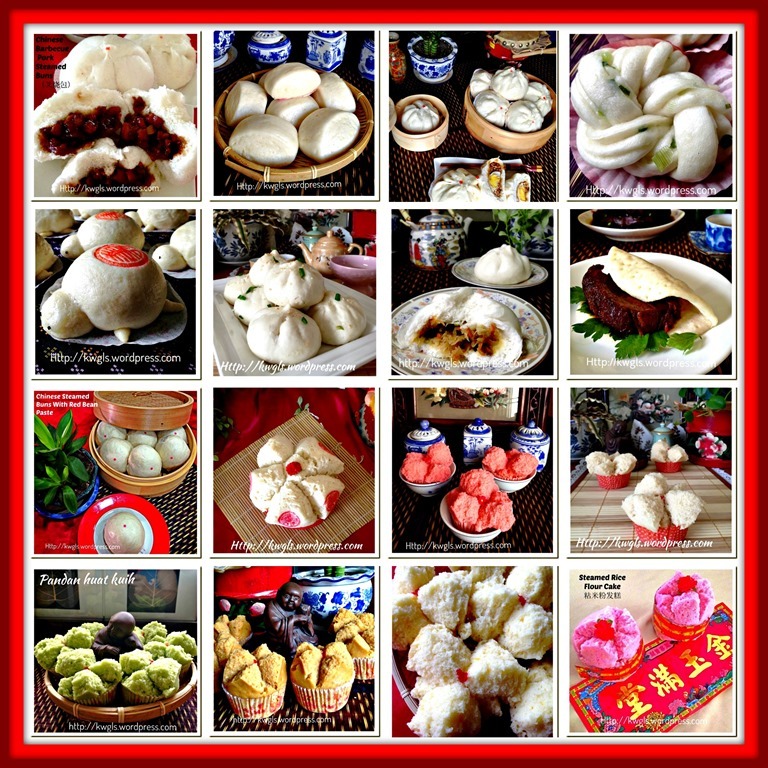 Chinese Rice Flour Cake (粘米粉发糕） – In the same post, there is another recipe of rice flour huat kuih. Instead of using en, baking soda was used to make the kuih flourish. 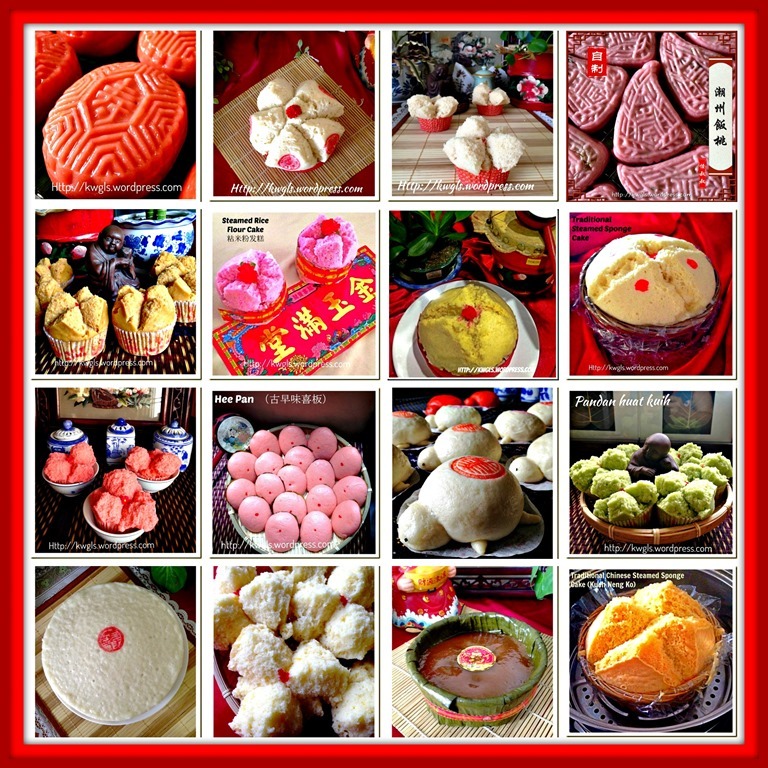 This entry was posted in Chinese and Asian Cakes and Snacks, Food Preparation Series, Special compilation and tagged 8, 蒸糕, GUAI SHU SHU, Guaishushu, kenneth goh, postaday, steamed cakes, steamed cakes and kuihs, steamed kuihs. Bookmark the permalink.